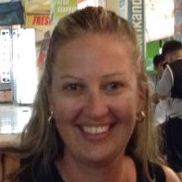 Lisa Connell is the Learning Specialist – Digital Technologies at Wallarano Primary School, in Noble Park, Victoria. Lisa teaches Digital Technologies as a specialist subject to all year levels in the school. She also provides support to classroom teachers assisting them to use digital tools within their classroom programs that link to the Digital Technologies Curriculum, as well as Literacy, Numeracy and Inquiry units of work. Lisa has helped set up Digital ‘Sandpit’ sessions for all students and is currently trialing STEM Challenges, using a Design Thinking model, with students in grades 4-6. Hear Lisa speak at the K-12 Digital Classroom Practice Conference.